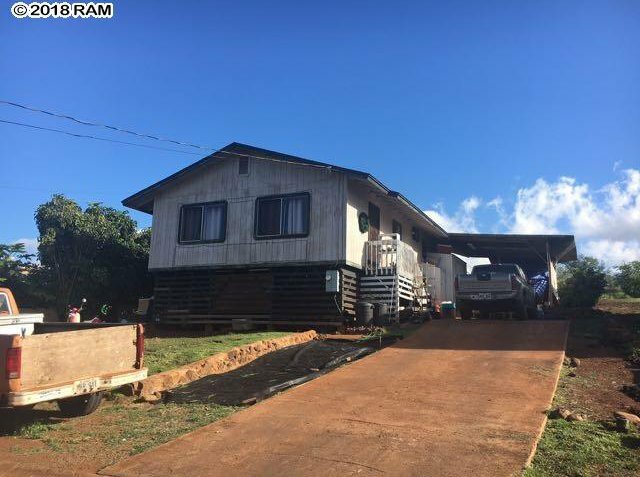 Three bedroom, one bath house located close to Kaunakakai town. Currently, there are long term tenants living there. The owner is a licensed broker in California and would like to do a 1031 tax deferred exchange with his other three properties. The tax map key for the other properties are as follows: 2-5-3-11-70, 2-5-3-4-128, 2-5-4-5-36. The property has been recently remodeled after previous tenant vacated. Located at the top of Manila Camp with no one behind. Listing courtesy of Molokai Vacation Properties. Selling Office: .